Kearny Appliance Repair was established as a home service provider. Well-known for its quality workmanship and friendly customer service, our company has quickly earned the trust of local homeowners. While working at your home, we maintain the highest industry standards. Whether you need to install a new appliance or service a current one, our appliance service technicians have the expertise to handle the task. 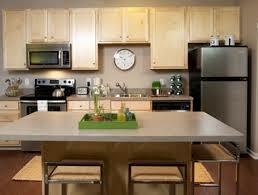 If you need to repair a kitchen or laundry unit quickly, look no further than Appliance Repair Kearny NJ. Our team serves customers in the Kearny region in New Jersey. Over the years, our experience in home appliance repair has brought us hundreds of loyal customers. From small repairs to large installation projects, we do it all. No matter what the unit’s brand or model is, we are familiar with them all. When you call us, expect reliable assistance and nothing but excellent results. When you want your appliances to serve you longer, there is regular maintenance project that would make your equipment run without hitches. That’s why our appliance service company is here to assist you. Whether it is brand new units or older ones, proper care is the key to their longevity. From adjustments to worn part replacement, we will take all necessary steps to ensure their seamless work. If your concern involves an outdated unit replacement, our appliance technicians are ready when you are. Don’t hesitate to give us a call for a free estimate and same day appointment at your convenience! Along with our staff, we have built an appliance repair company known for its dedication to customer care. Due to our expertise, we have made an impressive track record. Our commitment to high level of appliance repair service is proven by the fact that most of our clientele are return customers. Our service is tailored to deliver quick assistance regardless of the problem you may face. Be it a washer that is out of order or sparks inside the microwave, we can fix them all. Whatever kind of appliance repair in Kearny, NJ, you want, consider all your needs covered!